My team and I worked together with the students to break down the task. They looked at key words of the task. They brainstormed ideas and tasks that they could work on. They had the opportunity to choose how they worked: they could work as a group or individually. Two students worked by themselves with the rest of them arranging themselves into friendship groups. My EAL transition group were also involved in the project- they were given set tasks to create and teachers helped them create the tasks. With them, we had to teach them about the Black Death before they could create the resources. The rest of the students learnt about the Black Death through their own research whilst creating the tasks. They had to look at the information and decide what was relevant to their activities. We ran lessons on reading the Australian Curriculum, how to create teacher resources and we even had a lesson on how to put information into their own words. We went through how to create a bibliography and how to find resources that were creative commons. As teachers we did our own planning and were constantly aware of what skills we needed to help the students with. 3.6 Evaluate personal teaching and learning programs using evidence, including feedback from students and student assessment data, to inform planning. 4.5 Incorporate strategies to promote the safe, responsible and ethical use of ICT in learning and teaching. I had to ensure that this unit catered for my EAL and low literacy students as well as challenge my high achievers. By getting students to think about who they were creating the tasks for, it allowed them to understand that not everyone is at the same level of achievement and they were able to use their strengths to cater for differences in learning ability. For example my EAL transition students created word puzzles, true and false questions and sequencing events on the Black Death- activities they are familiar with. On the other hand other students created at source analysis and mapping tasks that catered for mainstream students. This reflected the work that they complete in class. Since this task was different to how a unit is taught in our class, my team and I had to constantly ensure that students were being supported. Given that this class has students with a wide range of abilities, we had to support and guide them in their learning. Some groups had trouble dealing with members who didn’t contribute on a regular basis or took too long to complete set tasks. I was often asked to mediate sessions between groups who were struggling to communicate with each other. Students had to learn to set time frames in order to get tasks completed on time. They also had to format teacher tasks so that it looked presentable. Students used a variety of ICT tools from Publisher, Word, Wix (website creator), Google sites, interactive maps and Blendspace. They either chose Microsoft tools that they were comfortable with or extended their capabilities by creating websites and using Blendspace. My team and I had to constantly reinforce that they made sure that they used websites correctly and acknowledged their sources. My students’ presentations were fantastic. The effort and the level of engagement was clearly evident in the teaching resources they created. They had created a variety of teaching resources – from crosswords and word searches, to games, mapping tasks and websites with activities. Students even created Blendspace units of work where they collated resources made by others and created activities around them. I decided to have a new audience for their work and so I invited curriculum leaders and house leaders. We had our House Leader (who is also an assistant principal), our assistant house leader and the Technology for Learning Leader come in to our class to see the presentations. By giving my students a variety of people in the audience instead of just their regular teachers and peers, they were excited and worked more consciously to complete their tasks to a high standard. The students use of references increased during this unit of work. They are becoming more conscious of acknowledging their sources. They also ensured that what they wrote was in their own words, thanks to a strategy put in by the other teacher. My main focus during this unit was to constantly reinforce that they needed to reference their work. This PBL task helped them realise that they couldn’t just take any work from the internet without checking to see if they could legally re-use the material. To provide authentic feedback, the resources created by my students will be used in the Technology for Learning teacher’s Year 8 Humanities class. They will evaluate the resources made and give feedback on the tasks. By doing this, my students will see that their work is being utilised and I will also get to see what other teachers and students think of this unit of work. My students also completed a survey that evaluated the Black Death unit and teacher support during the term. I asked them whether they liked the unit and if it allowed them to work independently and the way they wanted to learn. Most students responded positively. The key reason they wrote was that it allowed them to choose their own groups and create their own tasks. We had 3 rubrics to evaluate the project. The first allowed the students to evaluate themselves and the second allowed them to evaluate their group. The third was the teacher evaluation of the students, which we completed in consultation with the students. This gave us the opportunity to talk to them about the work 1:1 and give them immediate feedback on the unit. One of my students used Blendspace, where she collated a variety of resources to provide a comprehensive unit of work on the Black Death. She included videos, websites and even games about the Plague. She carefully highlighted the key points from the History Australian curriculum on the Black Death. She created activities around the resources that she collected. Her unit was quite detailed and showed me how she likes to learn. She also made a statement during her presentation that she now understood how much work teachers put into creating learning tasks for students. I have made a copy of the unit (to avoid her name being used )and embedded it below. 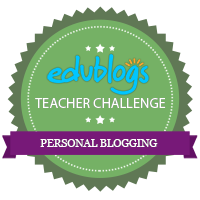 This entry was posted in PBL and tagged AITSL 1.3, AITSL 2.2, AITSL 3.3, AITSL 3.6, AITSL 4.5, AITSL 5.1.